Nobody knows the challenges of getting new employees up and running and welcomed into the fold better than a fast-growing company. That would be Cohesity in a nutshell! We will be five years old in June, and we’re growing like Silicon Valley wildfire. However, here at Cohesity we are staying a step ahead of those growing pains. For example, in December we moved our headquarters to new offices located in downtown San Jose, Calif. to accommodate a workforce that had doubled in size. And last month, we opened our second major U.S. office in North Carolina’s Research Triangle Park. We have also implemented a streamlined onboarding process for new hires. Adding to our office expansions, we are vigilant when it comes to making sure all new hires feel like a Cohesian on Day One. We have designed a state-of-the-art onboarding system that makes everybody – including contractors – feel welcomed and productive the minute they step off that elevator. 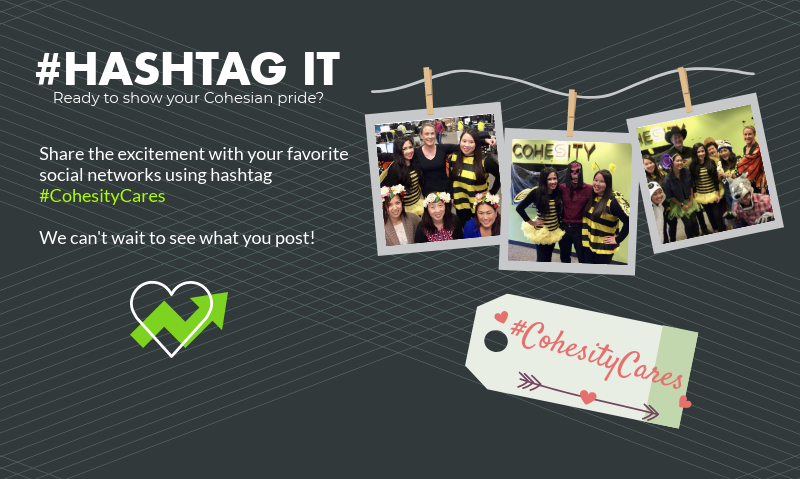 “We want to make becoming a Cohesian a fun experience, and we ensure new hires have everything they need from an onboarding perspective right away,” says Maricela in HR. 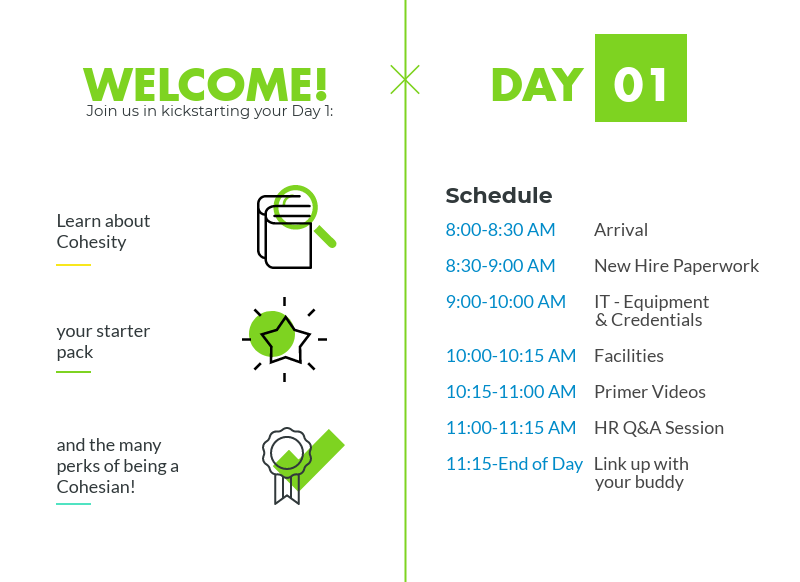 Cohesity’s onboarding process is collaborative across departments, and includes everything from a detailed welcome guide introducing the two-day schedule (see below), to a buddy program that ensures a personal touch, to a New Hire Graduation event after 30 days known as Cadre City. 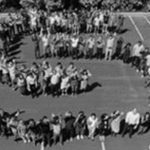 The process touches on company culture, values, and our highly-engaged Social Media environment as well as the usual IT handover of a laptop, security pass, and benefits enrollment. Of course online videos are also available to help answer questions that come up in the future. In fact, the onboarding process is also available to current employees who need a refresher course. The goal is to make sure all Cohesians are rowing the boat in the same rhythm and direction! “We are really just giving new hires everything they need to be successful. 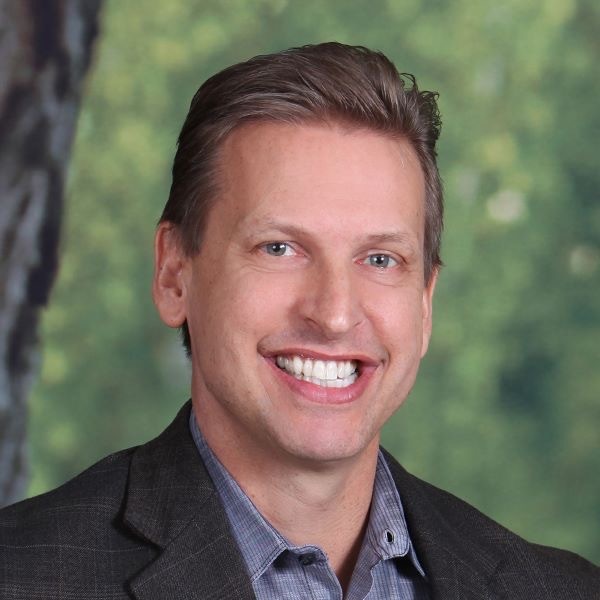 We’ve found that we have a more productive employee sooner, instead of stretching that out, because they are no longer concerned about how to find resources and who to ask for help,” says Maricela. 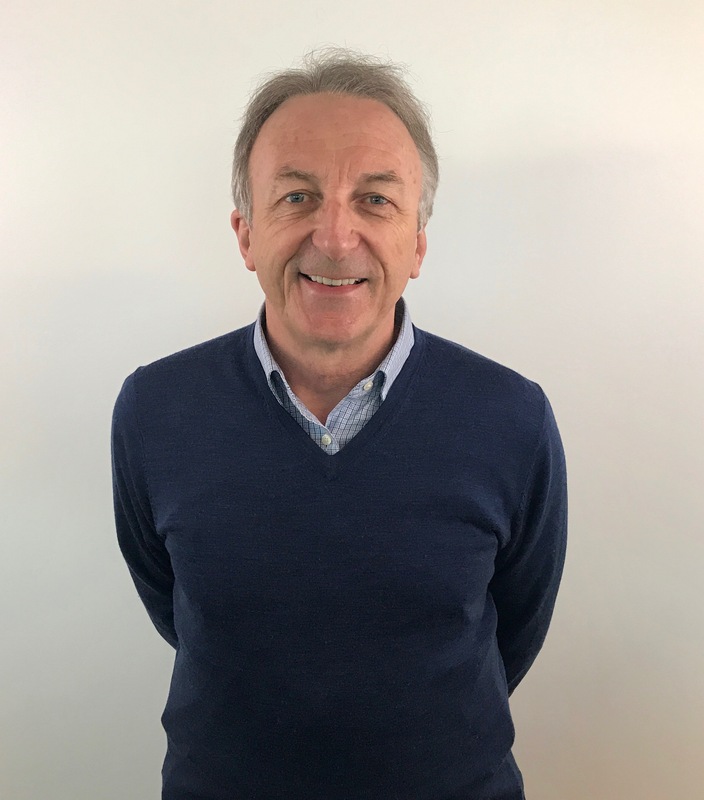 Joining a new company can feel slightly daunting – new people, new building, new culture and so on – and Day One is your first chance to assess whether your decision was a good one. I tend to believe in that old phrase about ‘first impressions being lasting impressions’, and I can certainly point to some negative experiences in the past that bear it out. 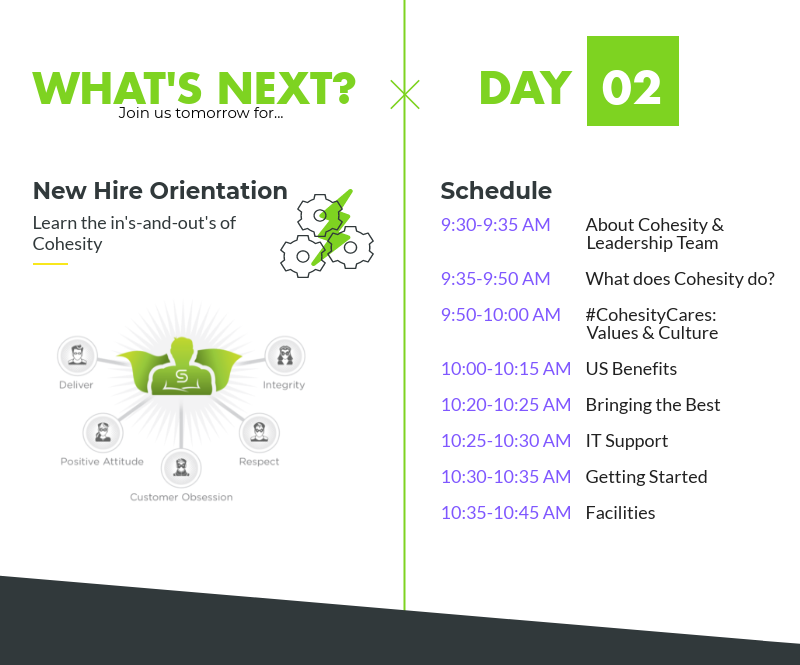 However, the onboarding experience couldn’t have more professional and pleasant when I recently joined Cohesity. Maricela and her team helped make me feel at home right away, with a planned agenda covering everything from onboarding forms to IT handover of my Mac, security pass, and benefits enrollment, all done within a couple of hours and allowing me to be productive later that morning. While this organized approach makes sense, given the company’s projected growth and rapid intake, it’s also important to consider the ‘human’ element and to impart that positive first impression. Maricela patiently answered all my questions, while exemplifying the company’s values, philosophy, and high standards – thank you for welcoming me so professionally. My onboarding experience was very smooth thanks to the excellent orientation provided by Maricela in HR as well as help from folks in IT, Facilities, and others who answered miscellaneous questions. The environment is very helpful and collaborative – so I expect my positive onboarding experience to be shared by many.